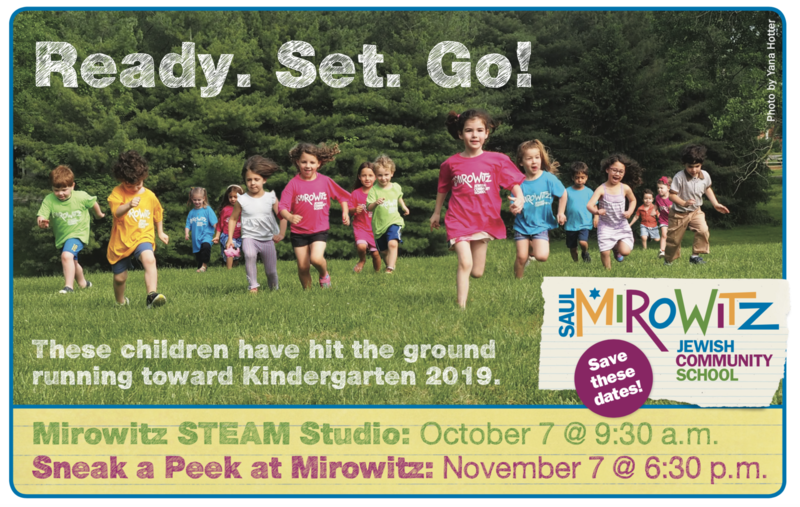 Mirowitz students have it all: a hands-on curriculum , lessons in social responsibility, and meaningful Jewish learning. 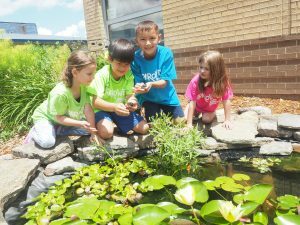 During their years (K-8) at Mirowitz, students restore prairies, lobby elected officials, test water quality of streams, pick vegetables on a kibbutz and walk in the footsteps of MLK. As they do so, they joyfully connect with their heritage and develop skills for a lifetime of leadership. Join us for an morning of earth-themed STEAM. 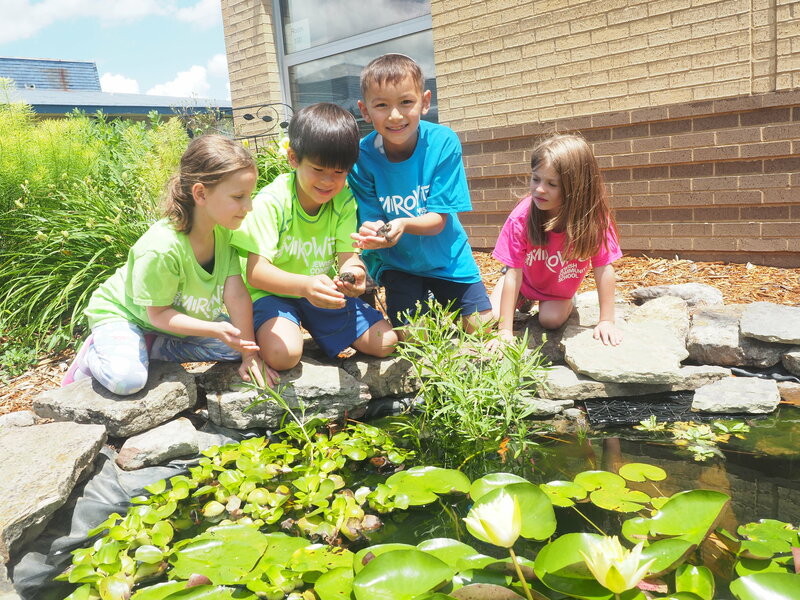 You and your pre-school aged child (ages 3+) will participate together in hands-on discovery in our outdoor labs. Meet animals and artists that make the pond their home. Learn about the parts of a plant (leaves, seeds, fruits and root) that are nutritious and tasty. Then pick a veggie from our garden and have a taste for yourself! Built a chicken nest, and see if Lila and Golda (our school chickens) find it comfortable. Use technology to record colors in nature. Learn how composting turns rotten food into something reusable. Presented by: Saul Mirowitz Jewish Community School and PJ Library – St. Louis. RSVP here. Email Lee’at with your questions. C ome Sneak a Peek! Roll up your sleeves and engage in experiential learning about how kids grow to be curious and ethical. 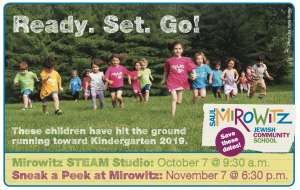 Break out sessions are led by Mirowitz teachers and include: Teaching Resiliency, the importance of learning a second language, teaching kids to pursue justice, and more.